Oklahoma women’s golf claimed fourth place at the Jim West Challenge after carding a 285 (-3) in the final round on Monday in San Marcos, Texas. The Sooners finished the 54-hole event with an 863 (-1) and placed two golfers in the top 10 of the individual standings at the 6,185-yard, par-72 Kissing Tree Golf Club. OU began the 15-team tournament with a 292 (+4) in the opening round Sunday before shooting 5-under over the final two rounds. TCU topped the leaderboard at 853 (-11). 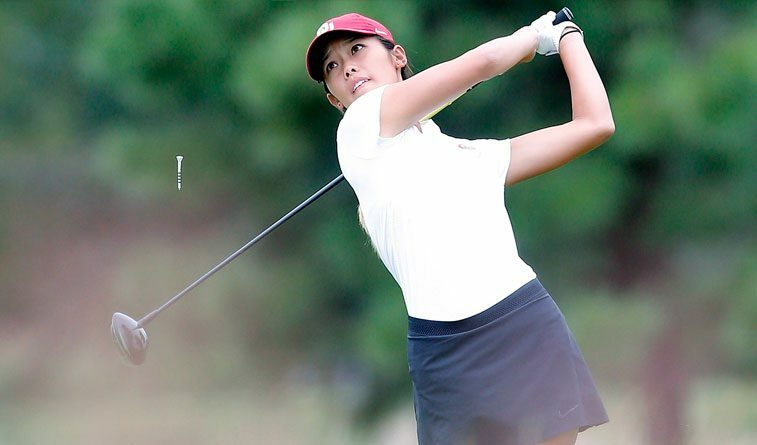 Senior Julienne Soo opened the tournament with a 76 (+4) in Sunday’s first round before bouncing back to shoot a 69 (-3) and 67 (-5) in the following two rounds. Soo claimed a season-best finish of seventh place with a 212 (-5) for her 11th career top-10 showing. Sophomore Kaitlin Milligian recorded a 70 (-2) in Monday’s round and tied for 10th place at 213 (-3). Milligan totaled 12 birdies over 54 holes. Freshman Mikhaela Fortuna tied for 19th with an even-par three-round score of 216. Fellow freshman Libby Winans posted a 223 (+7) and tied for 38th. Junior Sydney Youngblood shot a 74 (+2) in the final round and tied for 57th. The Sooners close out the fall portion of their schedule in Mexico when they compete in the Battle at the Beach in Cabo San Lucas starting Nov. 2.